Since the previous post was on intercultural conflict, it’ll be interesting to know the different ways different people tackle such a conflict. Mitchell Hammer proposed an intercultural conflict style model based on two core dimensions: Direct vs. Indirect approaches to dealing with disagreements and Emotionally Expressive vs. Emotionally Restrained patterns for dealing with the affective dimension of conflict interaction. He believes that people should understand and recognise that there are differences in conflict styles across cultural communities, and with that awareness learn how to understand each other and resolve conflicts. The Discussion style uses a verbally direct path. You say what you mean and mean what you say. When talking about the disagreement, you tend not to throw in your own personal feelings in the discussion. Examples of cultures that typically use Discussion Style of communication are U.S. White American and Northern European cultures. The second style is the Engagement style. This style is confrontational and verbally direct using strong verbal and non verbal communication. In the engagement style, sincerity is judged by the intensity with which each party conveys emotion. Examples of this style are Russian and Greek cultures. The next style is the accommodation style which emphasizes ambiguity in language use in order to help ensure that a conflict does not “get out of control.” Maintaining emotional calm and reserve is essential to this style for enabling interpersonal harmony to counter relationally damaging disagreements among the parties. Japanese and Southeast Asian cultures use the accommodation style. The last style is the dynamic style which uses indirect language—often communicated through third party intermediaries—with more emotion shown during conflict. The credibility of each party in the dispute is gauged by how emotionally expressive and intense they are. This style is found in Arab culture. After examining all this various communication styles, I believe that “accommodation style” and the “discussion style” are the best of the styles? (And no disrespect to the other cultures that use the other styles). 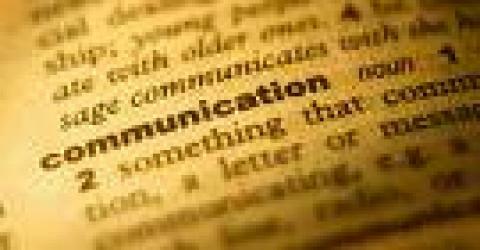 I firmly believe that communication is best when it is based on discussion, and not on verbal and emotional attacks which clearly blurs communication lines. The one that stuck out to me the most was the dramatic style used by Arab cultures. It seemed to me that this radical form of communication is also adopted in their actions. This can be seen in the terrorist groups who are trying to make change by blowing themselves up. Of course they are not a direct representation of the Middle East but the drive must come from somewhere in the culture. Another thing that came to my mind was the United Nations. Since the United Nations consists of many nations, they all have to speak ‘the same language’ to come to a resolution. But if there are four different styles of dealing with conflict, would it then mean that the United Nations will never get anywhere in their decision making?